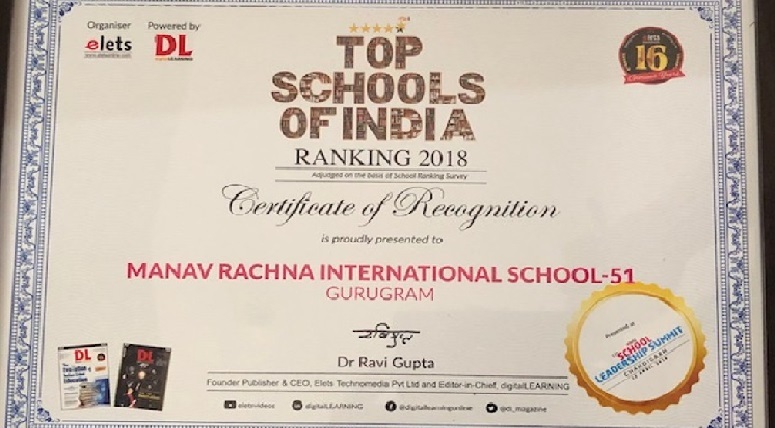 It gives us immense joy to inform you that our school MRIS-51 has been awarded as one of the best school in the top twenty schools of India Ranking Survey 2018 conducted by Digital Learning magazine. 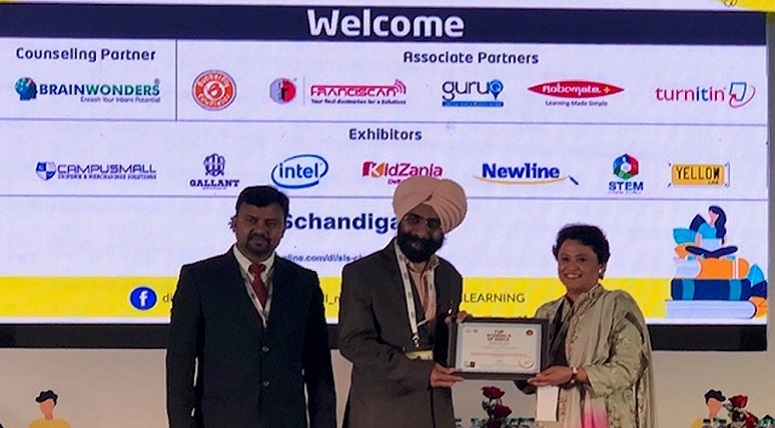 The award was presented to Principal Ms. Pooja Puri at the Leadership Summit at Chandigarh recently by Mr. Ravi Gupta, Editor-in –Chief, Digital Learning. It was indeed a proud moment for the school and we wish to share this with our parents, as without their support and cooperation we would not be able to achieve such a feat.